Imagine the magic combo of airy dough and juicy meat filling with a spicy hint of onion. Here’s your chance to learn this culinary secret. 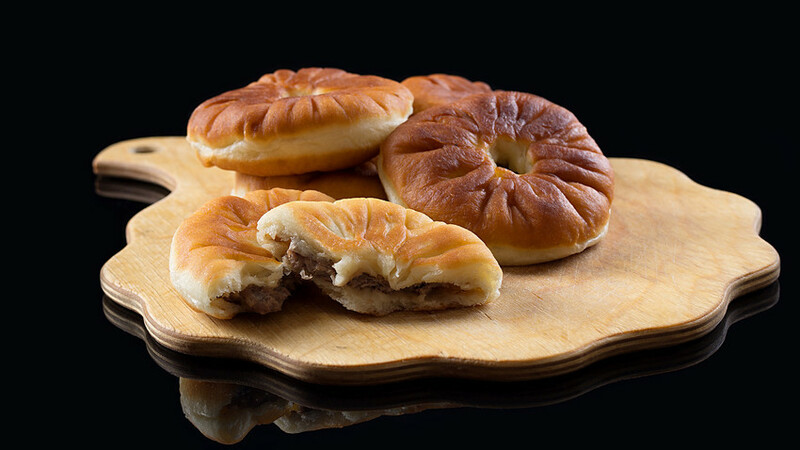 If you have the chance to try one dish from Tatar and Bashkir cuisine, go for belyashi – it’s a kind of fried flat pie stuffed with minced meat. However, these are not regular pies. 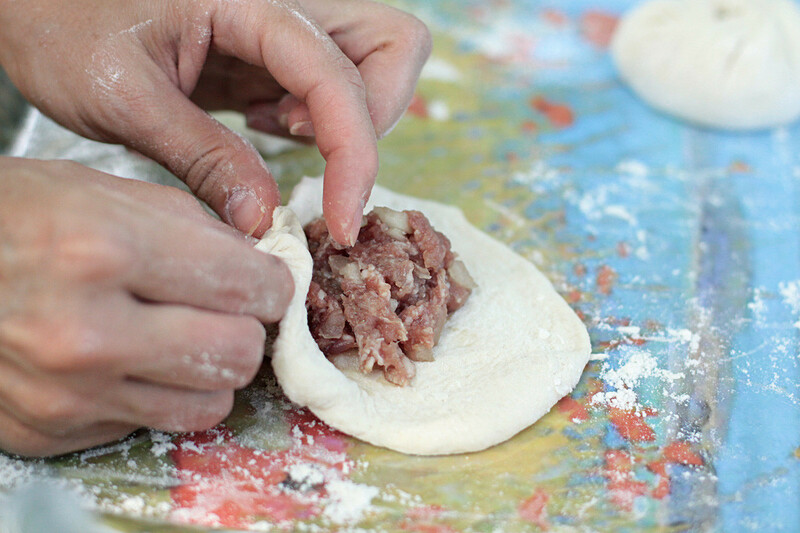 They have a distinctive shape: the small circular ‘window’ on top of belyashi makes the meat filling slightly visible. There’s a common belief that long ago Russian cooks couldn’t master the frying technique, but Tatar cooks could. 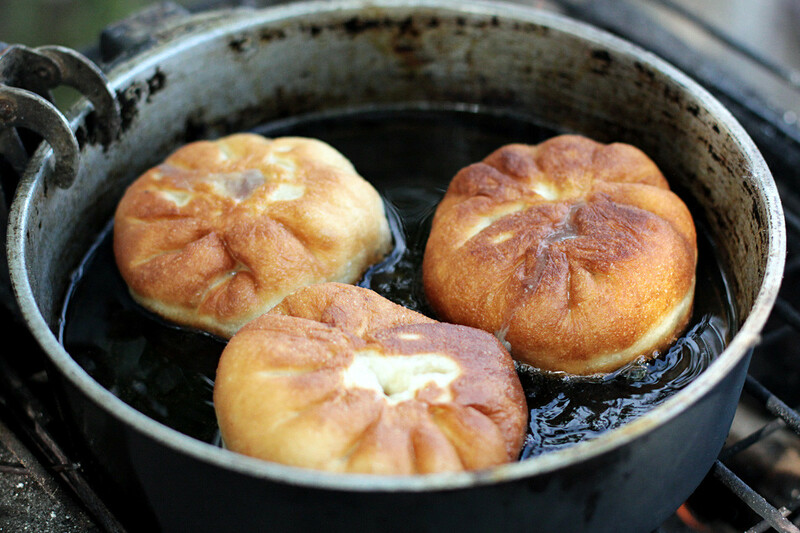 Eventually, Russian cooks learned how to fry, and today belyashi is the one of most popular snacks in Russia. You can find it in almost any kiosk or cafe in train, bus or metro stations. At some point in their life, each Russian has eaten a couple of these, stuffed with minced meat, during a long train journey. It’s a kind of nostalgic thing for those who born in the USSR when belyashi were the most popular fast food. But if you want to try authentic belyashi, then make them according to babushka’s homemade recipe. In my family, we have a kind of belyashi ritual: every summer my granny makes a ton of these scrumptious pies when most of our family and friends gather at our summer cottage. 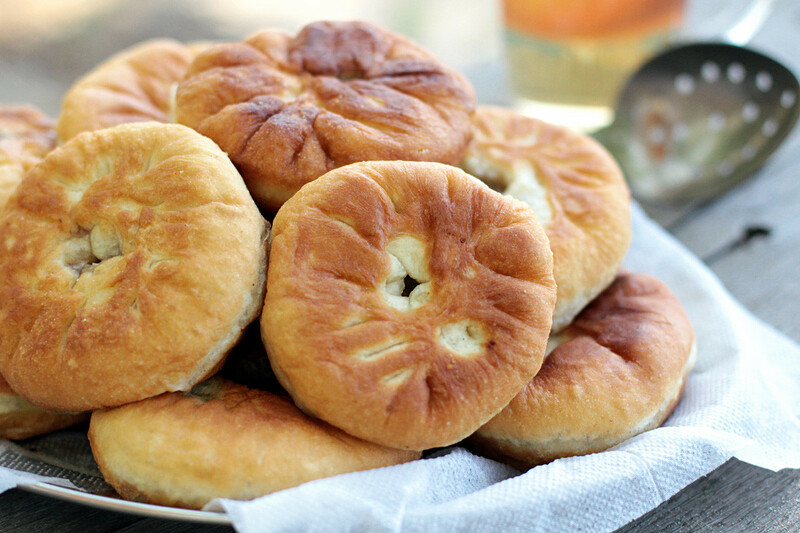 We serve belyashi with either icy lemonade or hot tea with lemon and sugar – these go perfectly with salty and juicy meat pies. The recipe seems to be quite easy, but there are some secrets for perfect belyashi that you should learn. 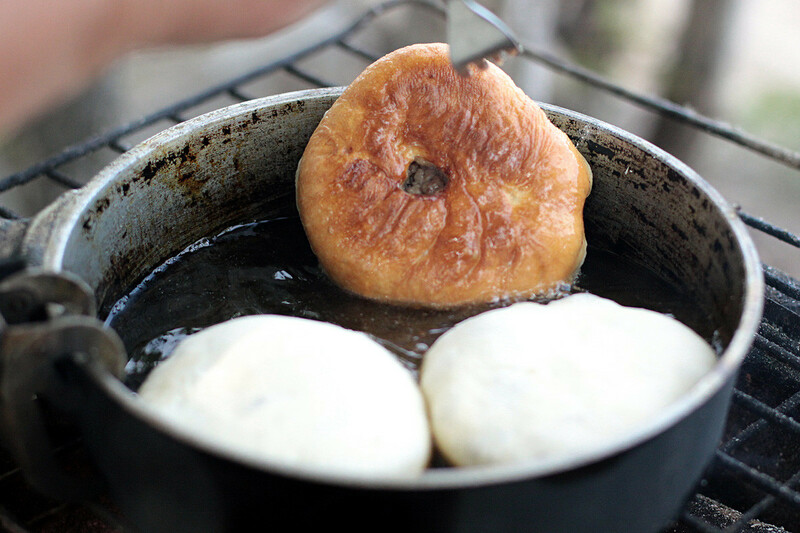 If you cook belyashi at home it’s important to follow a special frying technique in order to achieve that precious juiciness and lightness. 1. 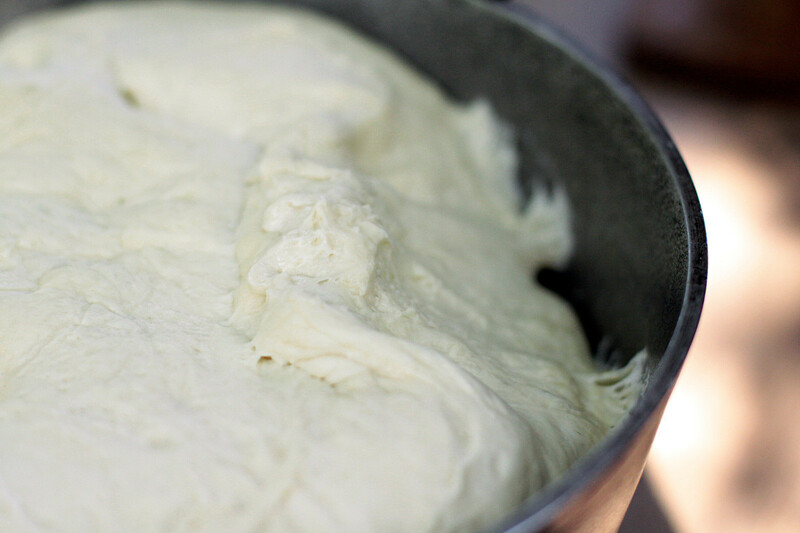 To prepare the dough for belyashi, mix lukewarm water, dry yeast and sugar; let sit for about 10 minutes in a large bowl. Then add sieved flour, salt and oil, and knead the dough. Be careful with the amount of flour: you may need more or less depending on the type of flour. The proper dough should be quite soft, plastic and slightly sticky. Cover it with plastic wrap and leave in a warm corner for an hour. 2. 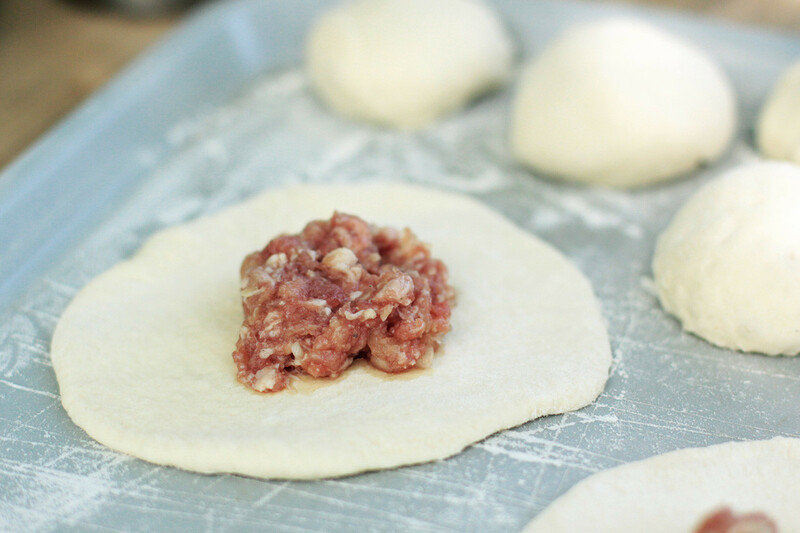 While the dough is rising, prepare the filling. 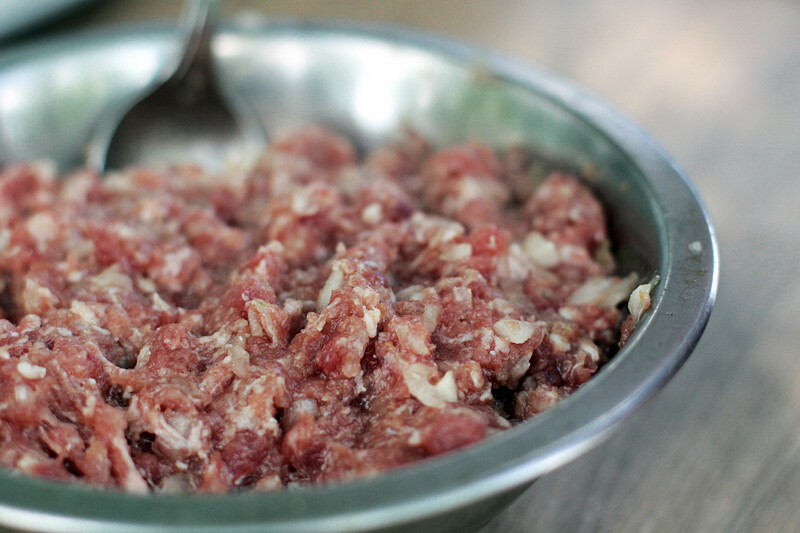 Finely chop onions and mix with minced meat. I usually use half pork and half beef. Season with salt and ground pepper, then add cold water and mix all the ingredients. 3. When the dough noticeably increases in size, softly knead again and divide into small equal round pieces. 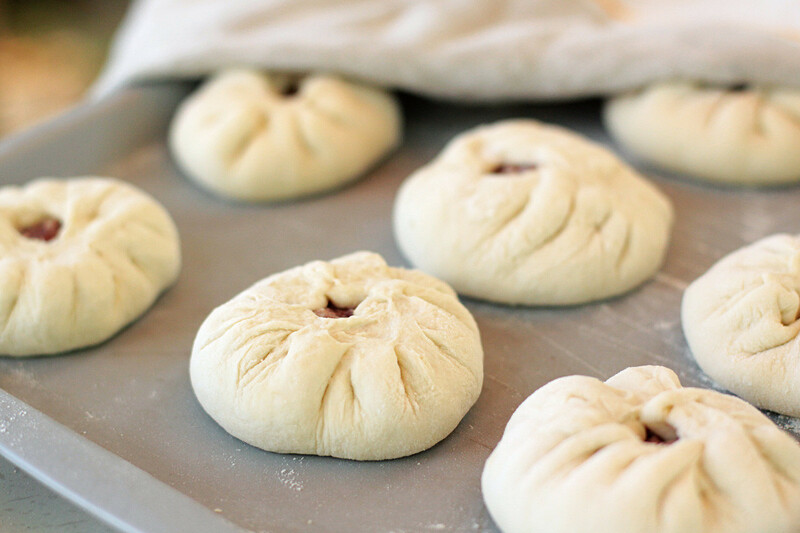 Let these dough balls rise for about 20 minutes. After that, slightly dust your cooking surface with flour and start rolling out the pieces. Spread a tablespoon of the filling on each piece leaving some space on the edges. 4. Next is the most important step – shaping the belyashi. Wrap the edges up leaving a small ‘window’ in the center so the meat juice does not escape while cooking. 5. When you finish forming belyashi, set them aside for about half an hour covered with a kitchen towel. 6. To fry, use a large pan or fryer with much sunflower oil that should cover belyashi halfway. Heat the oil and fry on low-medium heat. Start frying with the side that has the ‘window’ underneath. Cook until a golden-brown color and then turn over. 7. Fry on the second side until you notice the meat juice in the ‘windows.’ This means the stuffing is cooked and belyashi are ready. Remove and place in a plate covered with paper towels to absorb excess oil. Enjoy warm belyashi with a cup of sweet lemon tea or a glass of cold lemonade. Priyatnogo appetita!